Your choice of colors with images. Also Childs Name and age in Note to seller for a free gift. Puppy dog pal’s Cupcake toppers 12pcs. Some items not shown on photo. Puppy Dog pals Party Favor boxs 12pcs. If you would like only certain images let me know. Characters will be random of 1 of each shown on photo. We do matching party hats as well if requested! 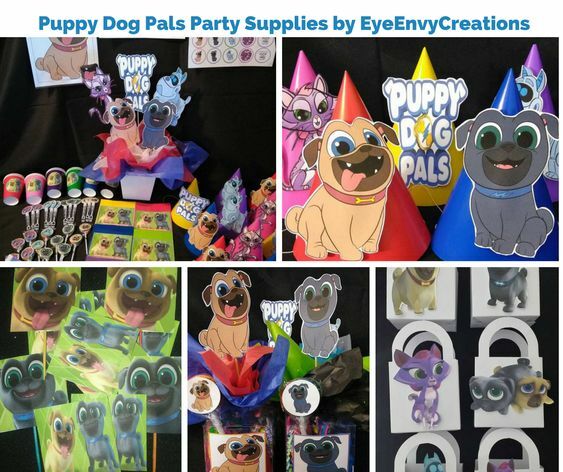 All Characters from puppy pals are Available! Puppy pal Card Stock 1pc. 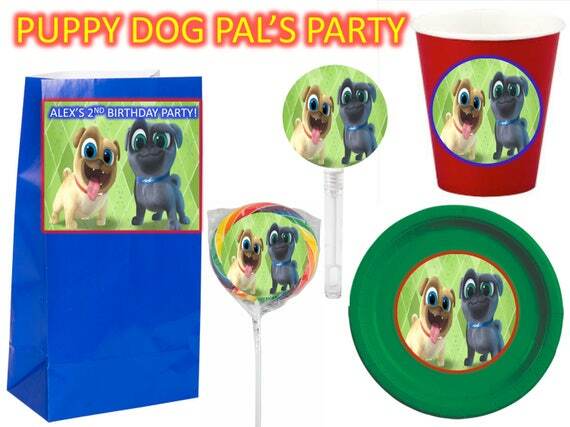 With Assorted Puppy dog pals images and assorted colors unless told otherwise. If you would like only certain images just let us know. Puppy dog pals Lollipops 12pcs. 1 sticker sheet of 20 stickers.